Positive: Good price; great built quality; nice design; high performance; decent display. Negative: No LTE; weak hardware; unsupport OTG. Positive: Elegant design; good built quality; decent performance; nice display; low price. Positive: Low price; nice design. Negative: Average performance. 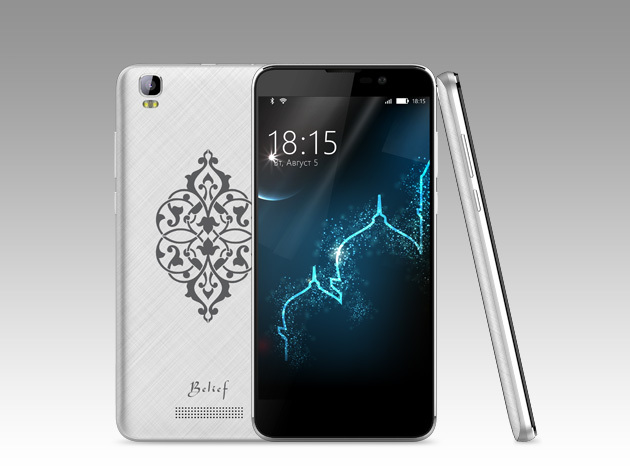 BQ-5071 Belief is a smartphone designed specifically for Muslims. The smartphone is able to accurately calculate prayer times based on your current location and equipped with a special alarm, notifying the beginning of a prayer session. Also, the gadget will find the owner of suitable restaurants with a halal menu and indicate the location of the nearest mosque. Islam's holy book, the Koran can be read in the text and listen to audio formats, and any verse sends via Email, Facebook or Twitter. The BQ-5071 Belief has a responsibly interesting rear cover design. The removable cover which is made of plastic is coated with flowing lines texture and has an Arabic script style icon on it. It looks organic which makes it successfully stands out from the usual plain candy bars. This smartphone is available it in dark and light versions. Regardless of the version, the pattern remains the same and the front panel colour remains black in colour. The BQ-5071 Belief measures at 146 x 72 x 10 mm and weighs at 156 grams. The smartphone controls and the interface are quite easy to be used comfortably with one hand. The textured back cover makes better grip so that it does not slip easily. The edges of the smartphone are rounded which is a common design of smartphones around the market. The main speaker is positioned at the bottom of the back but not easily overlapped by palm under usage. The volume rocker and lock button are located on the right side of the smartphone. 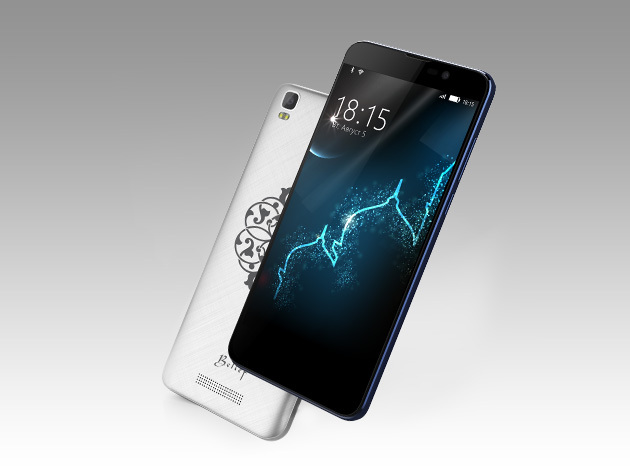 As for hardware specification, it features a 4-core Mediatek 6580 processor with a clock speed of 1300 MHz. The smartphone is equipped with 1GB of RAM and 8GB of internal memory, which can be easily increased to 128 GB via MicroSD Card. It is an entry level hardware specification catering for entry level users. For the operating system, the BQ-5071 Belief is powered by Android 6.0 Marshmallow. There has been no idication for a 7.0 update. The smartphone is equipped with a 5-inch IPS-display with a resolution of 720x1280 pixels. It also features an 8-megapixel main camera and 5-megapixel front facing the camera for convenience in video calls and selfies. Given that the smartphone is not created for the avid photo enthusiasts, the cameras are sufficient for entry-level users. The BQ-5071 Belief supports dual SIM which is convenient for users to use two different mobile networks on the same device. The smartphone is set to the battery capacity of 3750 mAh. Since the processor is an entry level processor, it is believed that the smartphone can work for a long time in standby mode. 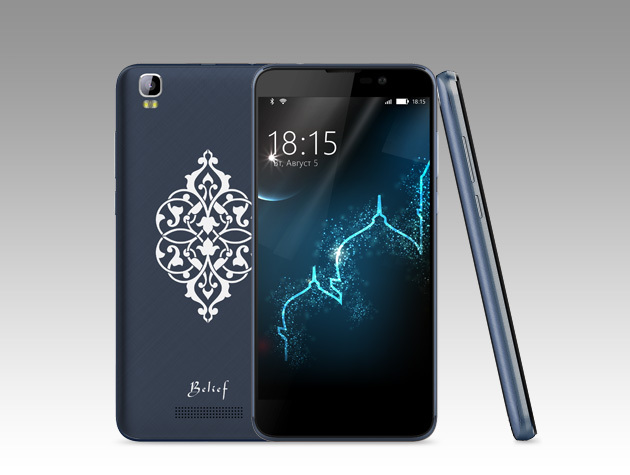 The BQ-5071 Belief is certainly unique and is probably the first phone to be made specifically for Muslims. That being said, its specs are rather low for its price and there are many apps out there which can replicate many of its built-in functions.